A utility map shows the location and identification of buried pipes, lines and cables below the ground. The utility investigation process involves locating “all” site utilities like: sewer, storm drains, gas, water, reclaim, fire water, communication, electrical, low-voltage, abandoned and unknown. This Investigation process combined with a base file, will provide you with a comprehensive detailed utility map of what is running underground directly related to any above ground structures. Why are utility maps important? Utility maps are important any time you are breaking ground as they show how utilities are running throughout the proposed site. They also help prevent utility strikes that may cause harm to the public or the workforce. Why should utility maps be used? Could prevent re-rerouting of utilities to be considered at the planning stage of a contract by limiting unexpected project costs during construction. Checking for underground utilities prior to undertaking any ground work, is always key in assuring the safety of the workforce and general public. Util-locate has been providing effective subsurface Utility maps since 2001, having developed reputable solutions for a wide range of clients across Southern California. 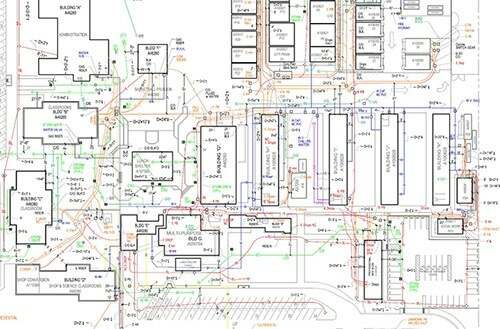 If you need a fully comprehensive map of the surveyed utilities that may cause conflict in design or construction, our team can provide you with the solutions you need. We take the worry of working around underground utilities away by giving you the confidence to plan, design and manage underground utilities. We are able to adapt to site changing conditions, and work through any stage of design or construction by combining latest technology, field expertise and non-destructive digging/Utility Potholing. When combining all our knowledge and expertise along with using the latest technology, including Ground Penetrating Radar (GPR) and Electro-Magnetic equipment, we overcome any limitations to assure all of our clients receive thorough, detailed and accurate results. With our thorough Subsurface Utility Investigation process, we are able to provide insight on any project and produce a utility map deliverable. A utility map deliverable will show all wet utilities, drains, High Voltage, low voltage - communication and unknown throughout property. Util-locate uses the latest technology with expert methods to explore detectable features underground. By utilizing specialized equipment, including Ground Penetrating Radar and Electro-Magnetic Locators (EML), we can analyze any detectable signals from utility structures, lines, pipes, abandoned and unknown below the ground. In addition to Utility Mapping, we can also expose/verify utilities safely and efficiently to provide: exact utility, depth, size, material and direction of line or pipe documentation with our Utility Potholing Department. What are the benefits of Underground Utility Mapping? Project planning can be significantly reduced to minimize risk and in turn, you save money if all utilities are detected in advance. 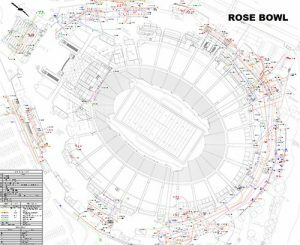 A Comprehensive Utility Map will give you the confidence to proceed with your project and make sure there are ‘no surprises’. Complying with all safety regulations will also ensure you are following best practice for your company and your employees. The ability to check as-built information and verify that utilities were laid to specification. Identify ‘dig safe’ job site designated areas for excavation and confirm the safest route for proposed utility work. Minimize risk to your field workers and the public before any excavation work takes place.